Can anyone identify the original business in this building, across from the former Hi Line Imports and in front of the old Impulse Club? Currently it's Club Raw on the east side and This Is It! on the west side. This Is It! is 5024-C, suggesting the building may have been divided into three storefronts at one point. I thought it was a restaurant of some sort, but I don't see 5024 listed in the 1970 or 1974 restaurant Yellow Pages (though of course the listings are alphabetical, not geographical, so I may have missed it skimming through). I'll update the post title if I get an identification..
UPDATE 26 July 2010: OK, I've got two votes for The Ranch, so I've updated the post title to that. Thanks to commenters Dennis & Bud! Subscribe to comments with RSS or TrackBack to 'The Ranch Restaurant, 5024 Two Notch Road: 1960s'. In the mid 70's the west side was a Chinese restaurant--the name Golden China comes to mind. The other part was a clock repair shop, IIRC. This was a favorite restaurant of my family's called The Ranch back in the early 60s when I was very little. Don't know if that was the original use. The building looked very different then -- it was smaller, the roof was different, that drive through carport thing on the south end was not there and there were huge windows facing Two Notch. Dennis is correct. It was originally The Ranch restaraunt. My barber, Mr. Sellers, operated a shop on the end heading away from Columbia. There were perhaps a couple of other small businesses in that building also. My family ate many meals here when it was The Ranch. When we went out to eat, we'd either be eating here, The Varsity on Main Street or Captain's Kitchen on Decker Boulevard. And Mike has it correct with some form of Chinese restaurant being here in the '70s. 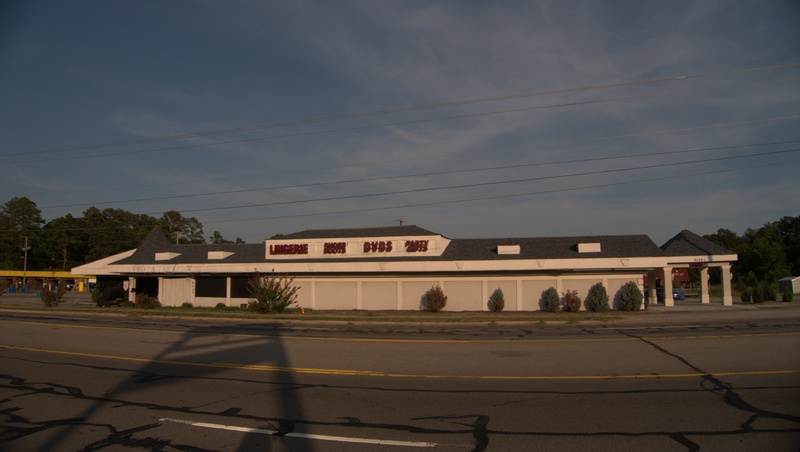 As a matter of conjecture, there's a pretty good chance the place would have been a Chinese restaurant by the 1970 phonebook. After the Ranch, the restaurant became Chinese and stayed that way till the end if I remember the whole thing correctly (at least the end of there being a restaurant here). 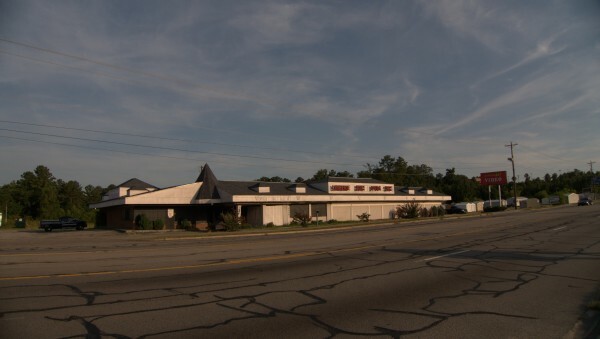 I do remember going for a buffet lunch once in the mid-'80s while I was installing some cabinets in the educational building of the old Forest Drive Baptist Church; the crew wanted to drive here for the lunch buffet of all places. It was the first time I had been in the Ranch building since the mid-'60s when my family ate there regularly. 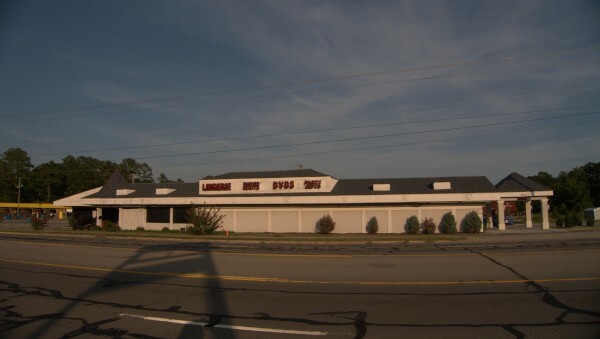 Don't have the slightest memory of the name of the Chinese restaurant, nor do I remember the quality of the buffet, but I do remember being bombarded with flashbacks of years gone by the whole time I was eating. Could very well have been the Golden China that Mike roughly remembers. Oh yeah, I remember being hungry again about an hour later. So, did The Ranch have a Western theme? ted - the logo was done in lettering that looked like rough wooden boards, and I think some menu items had western-sounding names, but the ranch idea was not really played out. I loved the big windows that made the place feel very large and sunny. Kinda like the old Drake's. 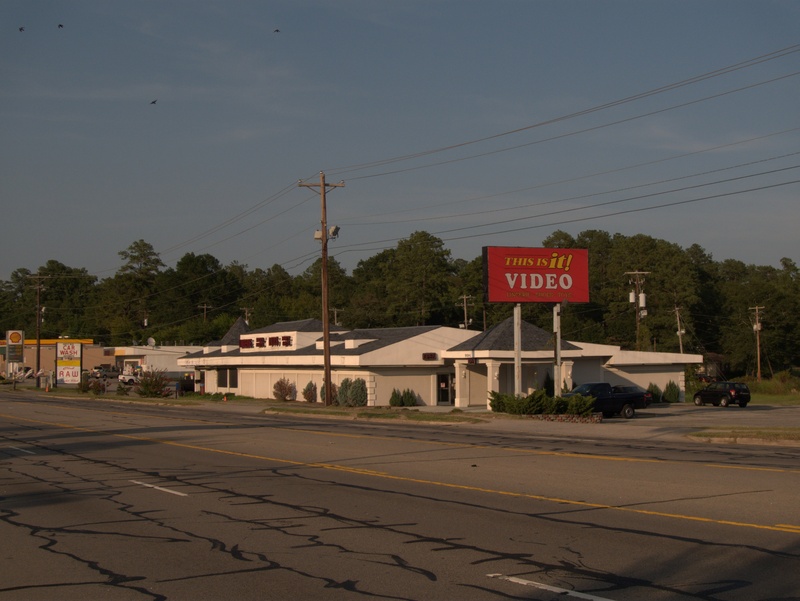 Who out there remembers Drakes on the corner of Forest Drive and Two Notch? I remember Drakes well. My dad used to take me there for breakfast on one morning Mayor Bates walked in. For an 8 year old kid that was quite a thrill. I remember the Chinese restaurant. I used to go with co-workers for the dirt-cheap lunch buffets. Not long after it closed we started hearing the urban legends about them being shut down for having, ahem, house pets hanging in the walk-in coolers. The story the owners supposedly told the health inspectors is that they were for personal consumption only. It never was confirmed and, to this day, I wonder why the sweet & sour pork was so good!! What were the brothers names that owned the ranch restaurant in columbia sc and were they the original owners. I ate there a s a little kid in the sixties . My dad hung the wallpaper in the dinning room it was it was fences cowboys and horses. Love to find out the owners name .